A Nigerian man accused of obtaining more than 125,000 stolen taxpayer identities from across the United States has been convicted in federal court in Oregon. Emmanuel Oluwatosin Kazeem was found guilty on 19 counts of mail and wire fraud, aggravated identity theft and conspiracy to commit mail and wire fraud. A jury in Medford returned the verdicts Friday against Emmanuel Oluwatosin Kazeem, 34, who lived most recently in Bowie, Maryland. Prosecutors say Kazeem bought over 91,000 of the identities from a Vietnamese hacker who got into a database belonging to an Oregon company called CICS Employment Services. Most of the personal information belonged to people living in Oregon and Washington and were used to file fraudulent tax returns between 2012 and 2015. Over 2,800 fraudulent returns were linked to Kazeem with attempted refunds in excess of $26 million and actual losses to the federal government of nearly $7 million. IRS criminal investigators traced more than 2,000 wire transfers involving $2.1 million dollars in fraudulent tax refunds wired to Nigeria by Kazeem and his co-conspirators, prosecutors said. Kazeem passed many of the identities to his co-conspirators located in the Atlanta, Georgia, area and Nigeria. He instructed them how to use the stolen personal information to get electronic filing PINs from the Internal Revenue Service in the taxpayers’ names to file tax returns. He taught them how to create fictitious W-2 wage documents and acquire and register prepaid debit cards in the taxpayers’ names to receive refunds, prosecutors said. Prosecutors submitted evidence that Kazeem had invested more than $190,000 in cash into the recent purchase of a newly constructed home in Maryland, used $175,000 in cash to buy a townhouse in Maryland shortly before his arrest. Evidence also found monthly credit card payments of $8300 over 4 years and plans to build a hotel in Lagos, Nigeria. The verdict came at the end of a five-day trial before U.S. District Judge Ann L. Aiken. 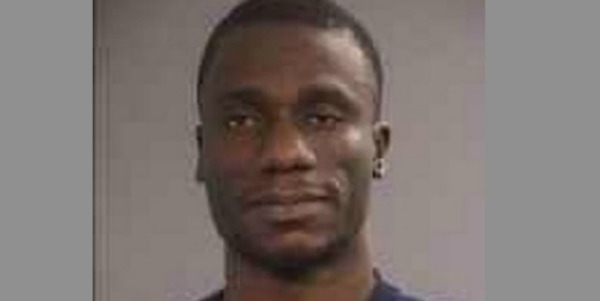 Kazeem is scheduled to be sentenced in Medford on Nov. 8. Kazeem’s son, Michael Kazeem, has pleaded guilty to an indictment and awaits sentencing. Investigators from the IRS, the U.S. Department of Health and Human Services, the FBI and Office of Inspector General were involved in the case.